For those who follow my blog will know that we try and get to the beach whenever possible for some fresh sea air .... and fun, so after our last visit, it occurred to me that we are getting rather a large collection of shells. 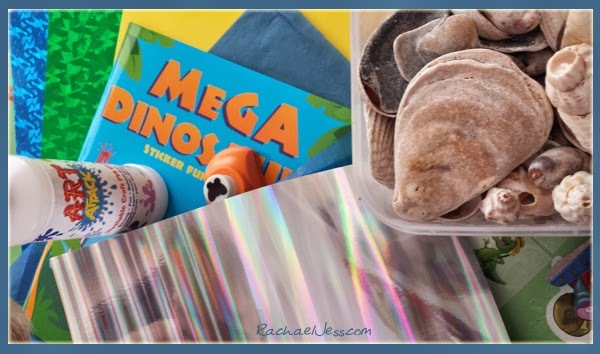 At some point when I have a minute and (not 5/6 other projects on the go.... in my head) I want to decorate the plain little picture frames I have with them but for today I had an enthusiastic little boy, rain and a lot of shells. So out came the craft kit. * Blue card for the sky. 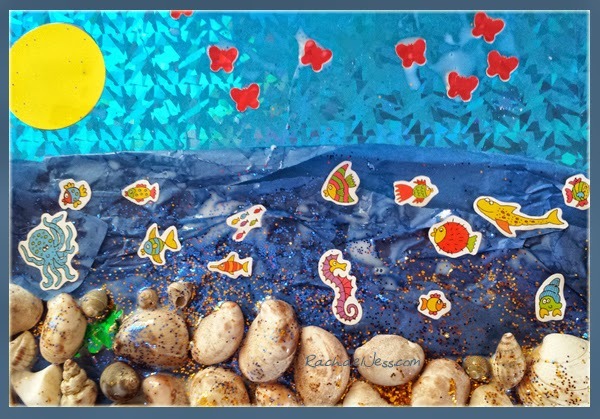 For each stage, I was explaining to Max what we were doing, so when we were stripping bits of tissue for the sea, he'd repeat this back to me and really enjoyed decorating his card. 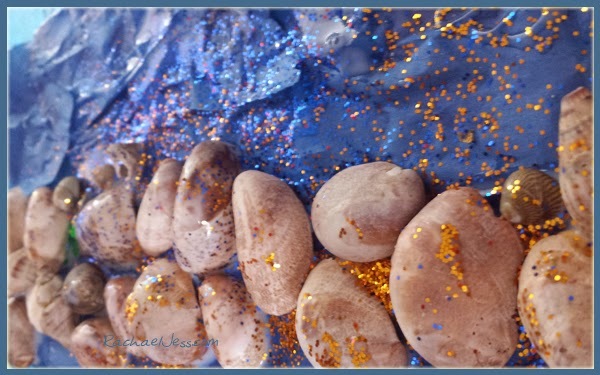 He loved covering everything with the glue and then picking out shells and covering them with glitter. Once it was all done we placed it on the table to dry and it now sits pride of place on his craft table. As we could not go to the beach we brought the beach to us.